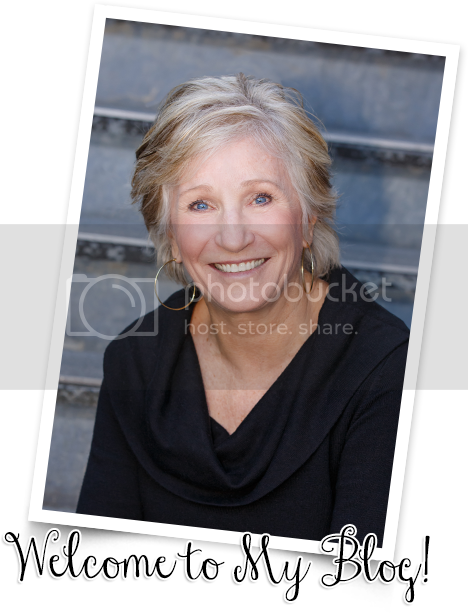 A teacher at a recent workshop said, "Dr. Jean, I heard you were going to retire." Retire!!! Now, why would I do that when I can go to summer camp and have fun and learn with great teachers like you? You know that I LOVE what I do, and "God willing and the creek don't rise" (a southern saying), I'm going to keep on doing what I enjoy doing for many more years. This is what the brochure says you'll learn, but I think being around enthusiastic teachers and sharing with each other is the BEST part! Tried and True Student Engagement. Engage in dozens and dozens of hands-on activities guaranteed to get kids excited about learning. Fuel-Injected Literacy and Math. Inject new life into teaching and learning with active, challenges experiences that connect the latest brain research and nurture essential skills. Standards FUN. Explore ideas for turning the clear learning goals of the state standards into “we-want more” learning opportunities for your children. Centers Working for You. Experience the magic of learning with 50+ nifty centers that work— and fuse developmentally-appropriate practices with state standards. Classroom Management Success. Develop successful classroom management skills that eliminate distractions and free-up more teaching and learning time. 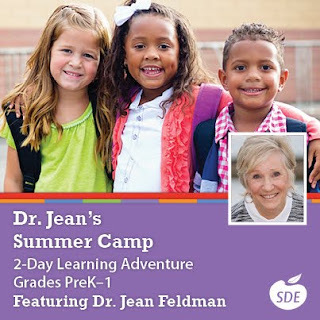 Go to sde.com to register or download a brochure. Everybody gets writer’s block every now and then. These story sticks might be the cure to prompt your students and motivate them to write. Directions: Cut 3” circles out of each color of construction paper. Let the children cut out pictures of people, places, and events from the magazines and newspapers. You will need 5-10 of each. Glue the pictures of people to the orange circles, the pictures of places to the green circles, and the pictures of events to the yellow circles. Tape the circles to jumbo craft sticks and place them in a cup or can. Invite the children to choose a stick of each color to help them write a story. The orange will be the WHO/the main character. The green stick will be WHERE/the place. The yellow stick will be the WHAT/the plot. *Use photos of classmates, the teacher, famous people, animals, etc. for the WHO sticks. *To encourage informative writing, tie in the story sticks to units of study or current events. For example, you could use pictures of Presidents, habitats, or environmental issues. *Let two children work together to write a story. *Place the sticks in the writing center for independent work. Hint! 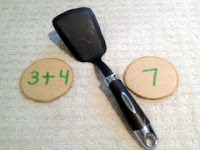 For younger children use the story sticks to encourage oral language. 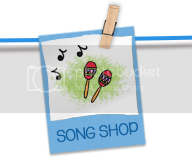 Make sticks with interesting characters or objects and let them choose one or two and create a story using them. I’ve shared this idea before, but if you’ve never done it you might want to give it a try. Give children sugarless gum and explain that they can open it and start chewing when they get their name on their paper and an idea in their head. As long as they are writing they get to chew the gum. When they stop writing they have to throw their gum away. Sure cure for writer’s block!!!! FINGER NEUROBICS - MY LITTLE HANDS KEEP MOVING!! Can you believe all those finger plays, cheers, handshakes, and brain hugs I’ve been preaching about all these years are actually powerful ways to stimulate the brain? Go figure!!!! Maybe thumb wrestling, patty cake, and rock, scissors, paper are a good thing after all! 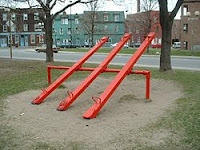 See Saw – Palms together. Push your right hand against the left and then push the left hand against the right. Do the same thing with your thumbs, index fingers, middle finger, ring, and pinky fingers. Beehive – Cross fingers to make a beehive. Wiggle each bee/finger starting with thumbs as you count from one to ten. Reverse as you count backwards. Cross fingers with the opposite thumb in front and then wiggle each finger. Spider – Open hands and touch fingertips. Bend in and out. Tap thumbs. Then tap index fingers, middle fingers, ring, and pinky fingers. Reverse. Roll each leg/finger forward and then backwards. Brain Hug – Thumbs up. Thumbs down. Cross arms. Clasp fingers and bring them down and up close to your chest. Wiggle each finger one at a time. *Thanks to my grandson K.J. for demonstrating these! 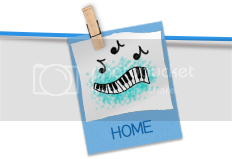 Piggyback tunes have been used forever because once the melodies are in the brain you can easily change the words. I read a book called MOZART FOR THE BRAIN several years ago and it pointed out that children can only focus on one thing at a time. It’s difficult to learn words and melodies at the same time, but if the tune is in the brain it is much easier to learn the lyrics. 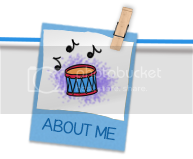 Everybody knows “BINGO” so here are a few new learning opportunities for this familiar tune. There is a zip code where we live and we know our zip code. Now we know our zip code. There are some letters you should know and they are the vowels. And now you know the vowels. There are five senses that we use to help us learn each day. There is a word family you should know and ILL is it’s name-o. They end in ILL you know. There are some facts that you should know and they all equal seven. And end our school day. We learned a lot today. We worked hard and we played. We were kind in many ways. So long, friends, for today. This is a day of JOY and WONDER, and no matter what your beliefs, I wanted to share a book about universal goodness. Several weeks ago some teachers were talking about a book for middle school students called WONDER by R. J. Palacio. They were raving about the book and said it was a “must read.” Once I started reading it I couldn’t stop! It’s one of those books that get in your heart and you’ll never forget it!!! I don’t want to say any more, but I wanted to share a few quotes about kindness that the principal shared in the graduation address. I hope your day is filled with WONDER! Thanks for making this world a better place with your kindness to children every day! I know you'll be busy today dying eggs, hiding eggs, and getting your bonnets all set for the Easter parade. Tomorrow evening you're going to be asking yourself, "Now what am I going to do with all these plastic eggs?" 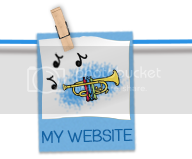 Take a look at this blog I wrote several years ago and your dilemma is solved. Write an upper case letter on one half with a permanent marker and the lower case letter on the other half. *Children can match letters. 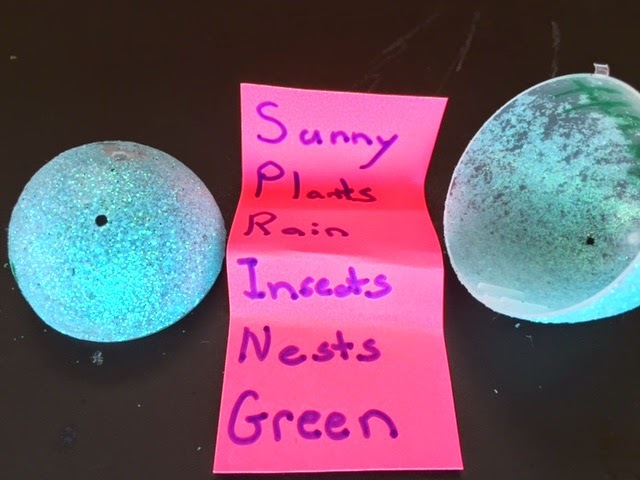 They can also write words or draw pictures of things that begin with that sound and put them in the egg. Write onsets (consonants or blends) on one half and rimes (word endings) on the other half. Children twist around and read words. You could also ask children to write the words. Practice making and reading two letter words by writing a letter on each half. Ask children to write the words or use them in a sentence. 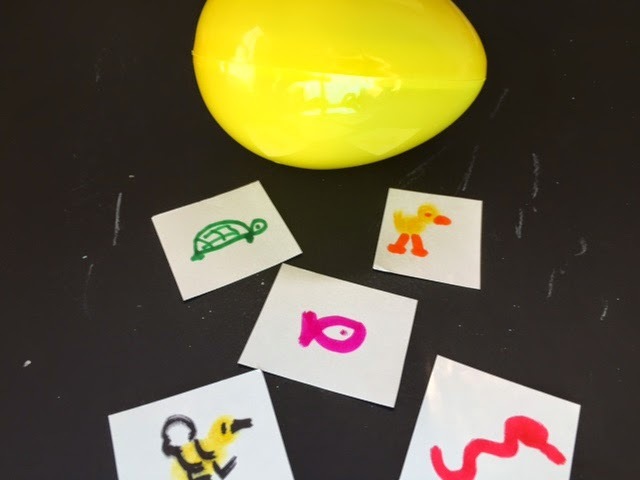 Write numerals or number words on the eggs. Children fill with the appropriate amount of beans or paper clips. 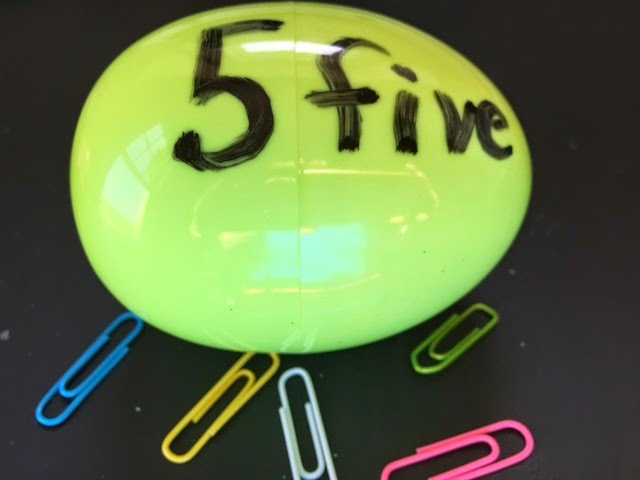 Can they write all the different ways they can make five? 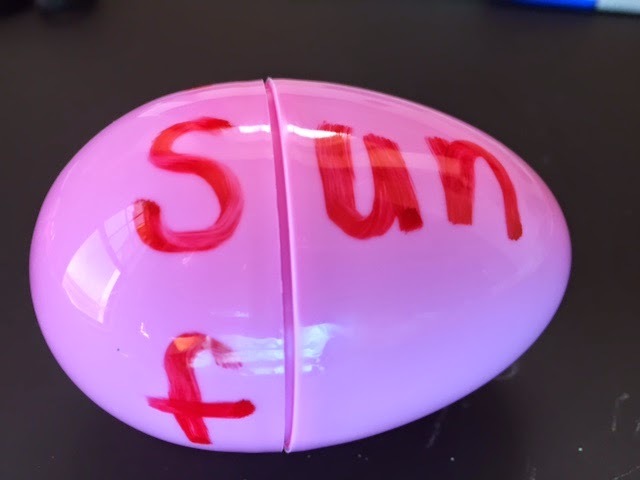 Make compound words with eggs. Let children draw pictures of all the animals that come from eggs. Write a poem about spring on a small sheet of paper. Fold it up and put it in the egg. 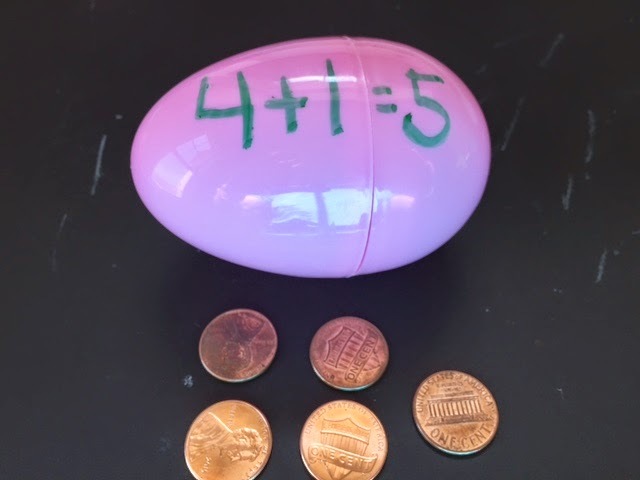 Practice addition and subtraction with eggs. 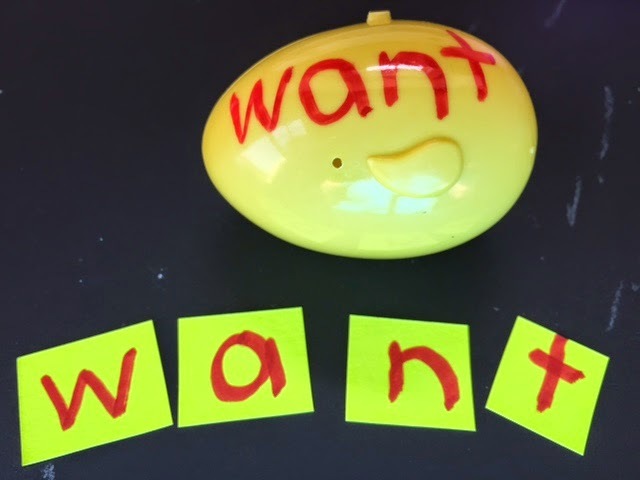 Write sight words or spelling words on the eggs. Write the same word on a 1” x 4” sheet of paper and cut between the letters to make a puzzle. Place puzzle pieces in the egg. Children shake and then open and put the pieces together to make the word. 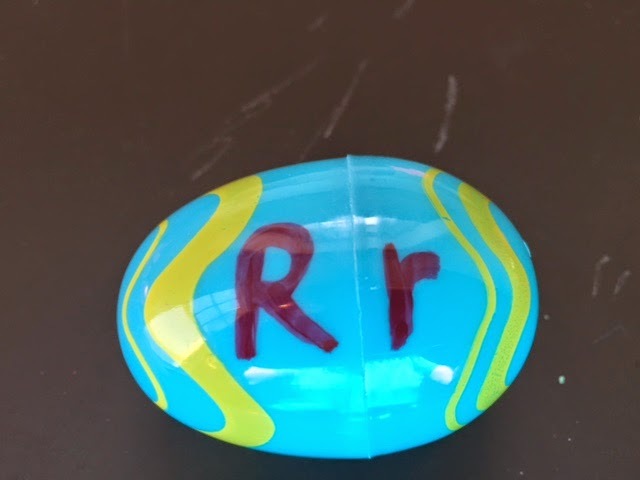 *You can also put random letters in the egg and ask children to see how many words they can make and write from the letters. Hint! I have tried both Sharpies and permanent markers and they rub off. I would suggest just putting clear tape on top of the marker. Here are some activities where children can practice comparing groups. 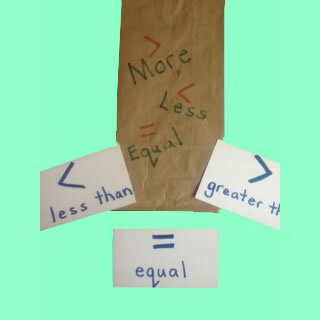 Write “more,” “less,” “equal” on three index cards and place in a bag. Children roll a die and then choose a card and make a set that is more, less, or equal to the amount on the die. 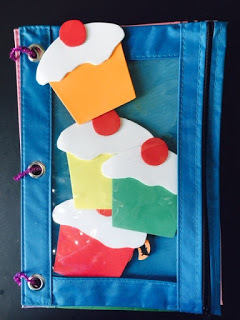 You can use counters or play dough for this activity. Remove the face cards from a deck of playing cards. 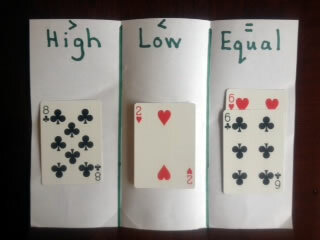 Draw three sections on a sheet of construction paper and write “high,” “low,” and “equal.” Children turn over two cards at a time and place the cards in the appropriate pile. *This is a fun game to play with a friend. To make “snakes” cut yarn or straws into varying lengths from 1” – 12”. 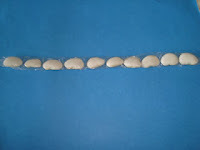 Children seriate the snakes from shortest to longest. Give children play dough and ask them to make three balls - small, medium, and large. *Can they make different sizes of pancakes or hotdogs from the play dough? 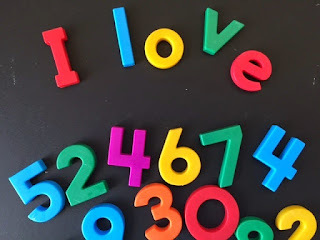 Have children measure different classroom objects using unit blocks. How many blocks tall is the table? The chair? The bookshelf? Place a 14” piece of clear packaging tape sticky side up on a table. 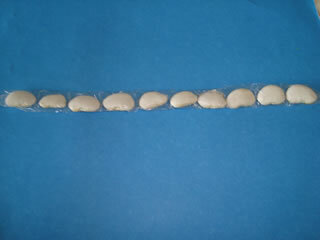 Lay ten lima beans end to end. Fold the tape up, down, seal, and then trim off the ends. Have a box of small items that the children can measure with a bean counter. *Give them an answer sheet where they have to walk around the room and find something 2 beans long, 5 beans long, 7 beans long, etc. Cut two hands out of construction paper. 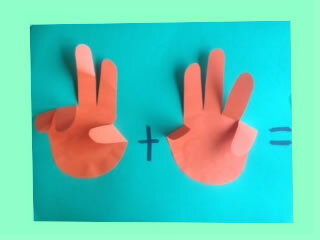 Glue the palms to a sheet of construction paper so the fingers can bend. Children bend down the fingers to demonstrate addition and subtraction. 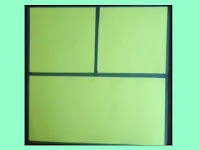 You will need a file folder or heavy sheet of paper to make a math mat. Fold it in half and trace over the creased line. Draw a line to divide the top section in half. Children use counters to make two sets in the top sections. They bring the objects together in the bottom section to demonstrate addition/joining them together. *Use math mats as a concrete way to demonstrate the missing addend. Children take two dice, roll them, build that amount on their frame, and then tell how many altogether. Cut 3” circles out of corrugated cardboard or fun foam. Write addition and subtraction facts on the front of the circles. Write the answer on the back. Children place the circles on the table (with the problem facing up). They add or subtract, say the answer, and then flip over to self-check. You will need zip sandwich bags and small, flat objects such as buttons or glass pebbles for this activity. Draw a line down the middle of a bag with a permanent marker. Insert objects in the bag. Children slide the items from one side to the other to make different combinations. Can they write down the different combinations? 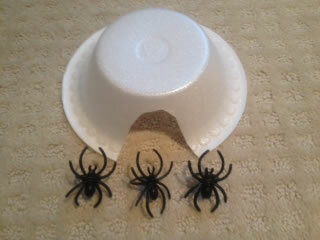 You will need plastic spider rings (or a similar item) and a bowl. Count out ten spiders and turn the bowl upside down to make a “cave” for the spiders. Children take turns hiding spiders in the cave. Friends try and guess how many spiders are in the cave. 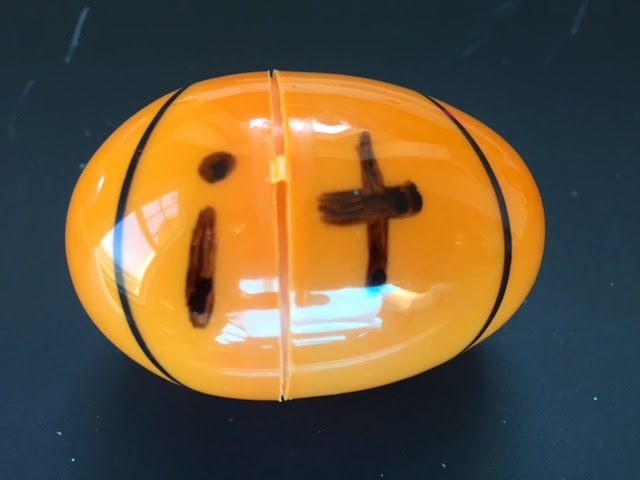 It's "March Madness" for you basketball fans, and this week I hope your students will become "March Mathness" fans with these hands-on center activities!! This is similar to "write the room" except children will be counting. Make a list of common classroom objects (chairs, boys, girls, teachers, computers, puppets, noses, shoes, monkeys, tigers – you can make this funny and challenging!) 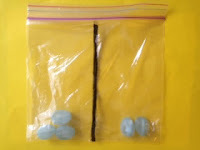 Children walk around the room, count the objects, and write their response on the line. *It's always more fun with a silly pair of glasses! Write numerals 0-10 on index cards. 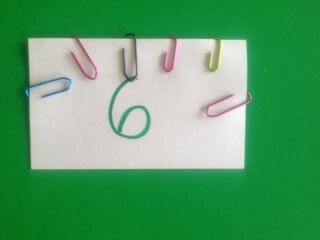 Children take paper clips and put the appropriate amount on each card. Prepare blank math concept maps with 4-8 sections. 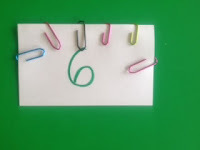 Children write a numeral in the middle section and then draw/write different ways to show that number. Take five pencil pockets and make a book with book rings. 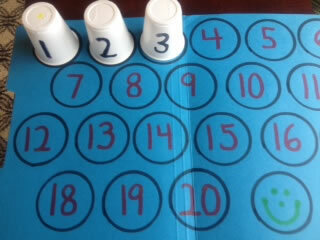 Write numerals on sticky notes and attach to the pockets. 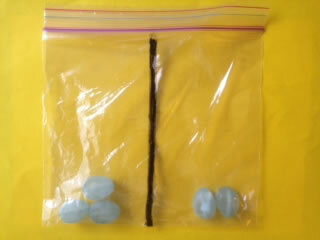 Children take small erasers, popsicle sticks, coins, and other flat objects and make appropriate sets in the pockets. Write numerals 1-20 on plastic bathroom cups. Trace around the bottom of a cup 20 times on a file folder. Write numerals 1-20 in the circles. Mix up the bathroom cups and then ask children to match them up with the file folder. *Can the children stack up the cups from 1-20? VIRGINIA IS FOR LOVERS OF CHILDREN! Lucky me to get to present at the VAECE Conference in Richmond last week! Art, creativity, problem-solving, exploring, open-ended activities, and messy fun are alive and well as you can tell from some of the art projects that were on display. From sewing, to clay, to nature art, to recycled sculptures, to craft sticks – STEAM is having a positive influence! Here are some other fantastic ideas that teachers shared. Every day wrap up a book for circle time in a gift bag. 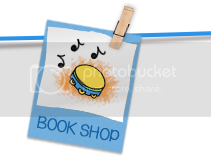 Change circle time to a “book party” and unwrap the book and read it to the class. 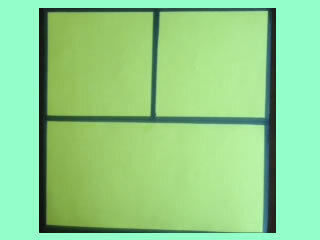 Use the windows in envelopes bills come in for letters and sight words. Superman – Do a plank. Wonder Woman – Sit in an invisible chair. Spiderman – Feet together and squat. Batman – Arms out and one leg up. We didn't have many books in our home when I was a little girl, but we did have this well-loved copy of A CHILD'S GARDEN OF VERSES. "The Swing" was always my favorite because I loved to swing and the rhythm of the poem made me feel like I was actually swinging. Some things never go out of style, such as this poem. I recited it to Kalina one day as I was swinging her and she said, "I like that. Say it again." Children don't visualize much any more because they are always sitting in front of a screen. This poem would be a wonderful opportunity for them to close their eyes, use their imaginations, and make pictures in their brains. Since we are at the park today I wanted to share this movement activity about a seesaw. Have children stand like a seesaw. Explain that a seesaw is similar to the balance scale in the math center. When you put something heavy on one side, it goes down and the other side goes up. Let’s pretend you are a balance scale. If I put a brick in your right hand, what will happen? I’ll take the brick away from your right hand and put it in your left hand. What will happen now? Give other examples for children to demonstrate with their arms. Put pretend amounts of numbers in the children’s hands and have them show you with their arms. Here are 6 apples for your right hand and 3 apples for your left hand. Here are two books for your right hand and two books for your left hand…etc. Happy first day of spring!! You can't help but smile and have a spring in your step. And speaking of steps and springs reminds me of how much fun I had jumping rope as a child…and then teaching my students to jump rope. For some of the children it was easy, but other children really had to work at it. Being persistent and not giving up is a good thing to learn. Jumping rope also encourages social skills, motor skills, counting, and oral language. It’s good for the body and the brain! Here are some chants we used to say, but you can adapt them if you don’t like the words. You could also use these on a rainy day. Just have the children get a pretend jump rope and jump along as you say the rhymes. What a perfect brain break for kids from pre-k through the primary grades. *You can jump on two feet or alternate hopping on one foot at a time. Bubble gum in a dish. All she wears is bathing suities. If you jump to 24, you will get an extra turn. Went upstairs to kiss her fella. Made a mistake and kissed a snake. Going down the railroad line. You will get your money back. Teddy Bear, Teddy Bear, read the news. Teddy Bear, Teddy Bear, tie your shoes. Teddy Bear, Teddy Bear, go upstairs. Teddy Bear, Teddy Bear, sit down in your chair! Blue bells, cockle shells, eevie, ivy, over. I like coffee. I like tea. I like you to jump with me. Here's my "Jump Rope Rally" video so we can jump together! It might be fun to give children copies of the rhymes and let them make a book of jump rope rhymes. They could illustrate these and use them for independent reading. Do you remember any jump rope rhymes from your childhood? I’m sure your students would enjoy learning them. Sometimes my brain is like scrambled eggs! Just like today when I thought of all these experiments using eggs. 1. Put a raw egg in a jar and then cover it with vinegar. Screw on the lid and set it aside for 3-5 days. 2. Observe the egg each day and describe what is happening to it. 3. After 3-5 days, the eggshell should be almost invisible. Remove the egg, rinse it off, and hold it up to the light. How does the shell feel? Hold the egg several inches from the table and drop it. Does it break? *I can't wait to do some of these with K.J. and Kalina when they visit next week. 1. Pass around the eggs for the children to gently hold and observe. 2. Discuss how the eggs are alike and how they are different. 3. Ask the children to predict if they are alike or different on the inside. 4. Break each egg into a different cup and compare. 5. How are people like the eggs? Do people look alike on the outside? Are people the same on the inside? *They made good scrambled eggs, too! 1. Place each egg in a different cup and cover with one of the liquids. 2. Observe the eggs for several days to see what happens. 3. Remove the eggs and encourage the children to describe what happened to each egg and why. 4. How are teeth like the eggs? What will happen to your teeth of you drink tea and coffee all the time? *Brush the eggs gently with toothbrush and toothpaste and see what happens. Note! Brushing the egg with toothpaste didn't work too well. I might have left the egg in the coffee too many days. Or, maybe it was the toothpaste??? It's science!!!! 1. Put the toy in the egg? Let the children shake it and try and guess what it is. 2. Have them make a list of all the animals they can think of that hatch from eggs. 3. Open the egg to confirm their guess. *Make a t-chart of animals that come from eggs and animals that do not hatch from eggs. I GET BY WITH A LITTLE HELP FROM MY FRIENDS!!! "EGG-U-CATED" JOKES FOR SOME "BUNNY"
AWESOME IDEAS FROM AUGUSTA, GA! 1, 2, 3, 4 - JEAN-YUS!